The San Francisco Glens of USL League 2 are proud to partner with the San Francisco Examiner in highlighting a different high school boys’ or girls’ soccer team, coach, or player within The City each week. This piece was originally published on SFExaminer.com and in the newspaper's Sunday print edition. SAN FRANCISCO — In light of the recent fire in Butte County, many schools have put the kibosh on outdoor activities after school due to the air quality. 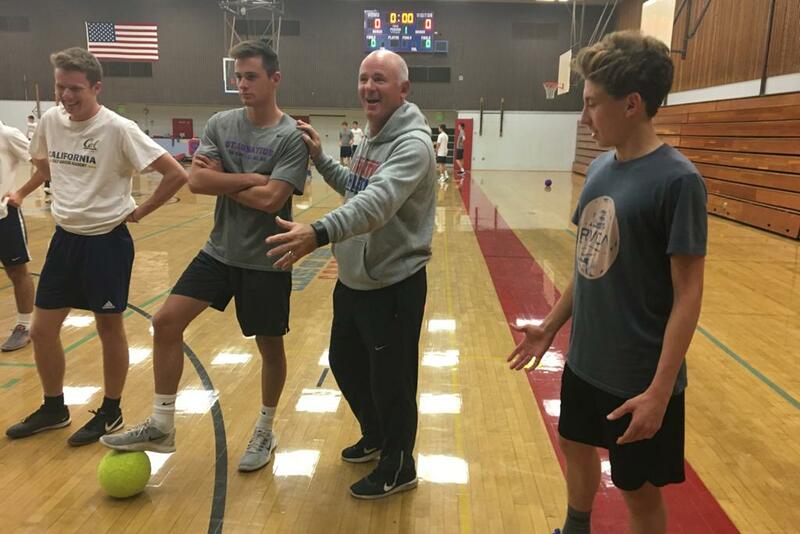 This week, the St. Ignatius boys’ soccer team has been running rondos and conditioning drills in the basketball gym under the watchful eye of coach Alan Downey. The Wildcats didn’t earn national respect and three trophies last season by relying on idle thoughts. “We can’t waste a day,” said Downey, whose Wildcats open the season No. 1 in our inaugural Top 10 rankings after going 19-1-5 and sweeping the West Catholic Athletic League, Central Coast Section Open Division, and Northern California Regional titles in 2018. Downey, who received California Coach of the Year honors from the United Soccer Coaches Association this past weekend, also credits the local youth clubs for his program’s ascent, especially considering the turnover high school programs face due to graduation. “We lost 10 of our players, and most of them attacking players from a group that won the league and set the goal-scoring record,” he said. “A lot of people thought we were rebuilding. Offensive focal points like WCAL Forward of the Year David Woodruff have graduated, but Downey lauds his players’ versatility as being essential in sustaining the heights achieved in recent seasons. Midfielder P.J. Rich certainly fits the bill. At 5-foot-7, Rich is small in stature like former SI-turned-Cal forward Dylan Penn, but is an energetic terror for opponents no matter where he is on the field. “I think I’ll be needed more in defensive midfield, moving the ball and switching the tempo, but I’ll play anywhere they need me, whether it’s on the right or even centrally,“ Rich said. Another player to watch is central defender Sean Bilter, who is committed to UC Davis. When he joins the Aggies next season, he is slated to compete for the spot vacated by Roy Boateng, who currently stars for the Glens’ USL League 2 franchise and is likely to be drafted by an MLS team in January. The man calling the shots from the sideline expects no less amid the would-be challengers to the Wildcats’ crown.